Today I’m excited to announce that Amazon Translate has added support for Japanese, Russian, Italian, Traditional Chinese, Turkish, and Czech! 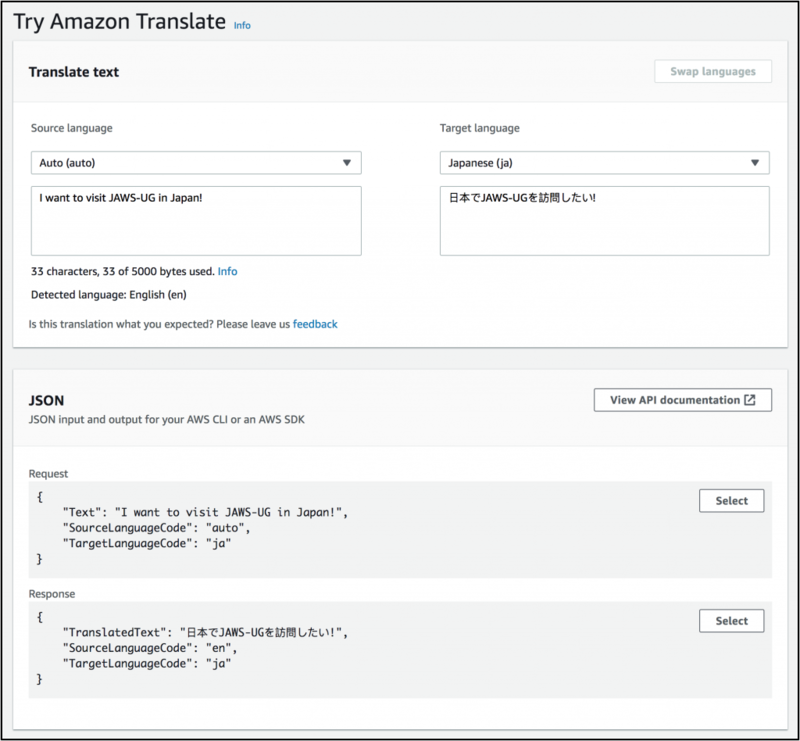 Amazon Translate is a translation API that delivers fast, high-quality, and affordable language translation. Translate was originally released in preview at AWS re:Invent in 2017 and my colleague, Tara, wrote about the service in depth. Since the initial preview, we’ve continued to iterate on customer feedback by adding features like automatic source language inference via Amazon Comprehend, Amazon CloudWatch metrics, and larger pieces of text in each TranslateText. In April, we made the service generally available and have continued to collect feature requests and feedback from customers. You can use the API explorer in the Amazon Translate Console to try out the new languages immediately. You could also use any of the SDKs as well. I wrote a quick Python sample below. You can check out the examples page in the documentation for more interesting ways to use Amazon Translate. I had the chance to chat with a few of our customers about how they’re using Amazon Translate. I found out that they’re using it to enable a lot of innovative use cases and customers are building real-time chat translation in games, capturing and translating tweets for analytics, and as you can see on this blog – translating blog posts and creating spoken versions of them with Polly. Amazon Translate is available in US East (N. Virginia), US East (Ohio), US West (Oregon), and Europe (Ireland) and AWS GovCloud (US). It has a useful monthly free tier of 2 million characters for the first 12 months, and $15 per million characters after that. The team wanted me to let you know that they’re hard at work on some additional functionality and that they’re hoping, later this year, to add support for Danish, Dutch, Finnish, Hebrew, Polish, and Swedish. As always, let us know if you have any feedback on this service in the comments or on Twitter!